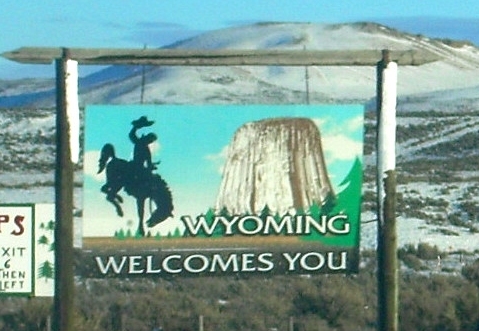 This past weekend, I spoke at the Homeschoolers of Wyoming convention in Sheridan, Wyoming. I had never been to that part of the state before, so not only did I have a great time at the convention, I enjoyed visiting a new location. 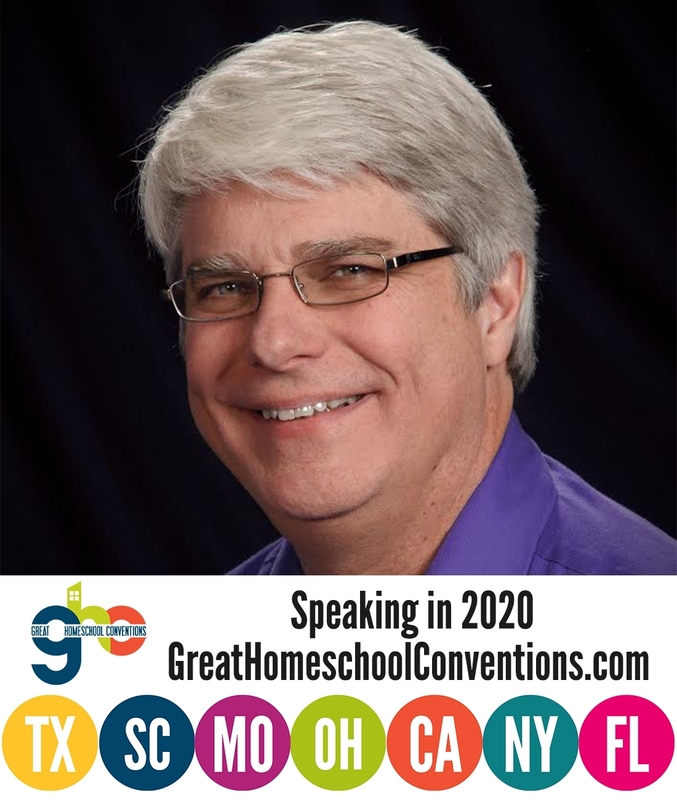 I gave four talks at the convention: Why Homeschool Through High School, Homeschooling: The Solution to our Education Problem, “Teaching” High School At Home, and Teaching Critical Thinking. In addition, I got to speak with several homeschoolers while I was hanging out at my publisher’s booth in the exhibit hall. During one of those times, I experienced something that probably doesn’t happen very often outside of homeschooling circles. I was speaking with a mother about her teenage daughter’s options when it comes to science. The daughter was there as well. She wanted to be a forensic anthropologist, and the mother wanted to know what sciences her daughter should be taking in high school. I told her that the three subjects she should definitely take are biology, chemistry, and human anatomy, because they would all have a direct bearing on forensic anthropology. As a result, they would give her a good idea of the kind of science she would be doing if she chose that field. She should also strive to take physics, but it would not have as much direct bearing on her field as the other three. My main concern is, will this book challenge me enough? I have to tell you, that’s a question you rarely hear from a teenager when it comes to a textbook! Nevertheless, it isn’t the first time I have been asked that question by a high school student at a homeschool convention. That’s one of the many reasons I love working with homeschooled students! They understand that education is important, and many of them actually want to be challenged by it! Of course, I got some great questions from the parents as well. For example, at the end of my Homeschooling: The Solution to our Education Problem talk, a parent asked what I thought would happen to the SAT and ACT as a result of the new Common Core educational standards. She also wanted to know how I thought it would affect homeschoolers. If you aren’t familiar with the abbreviations, the SAT and ACT are the two standardized tests used by most universities to help them evaluate prospective students. Most college-bound students take either the SAT or the ACT, and many take both. In answer to the first part of the parent’s question, I said that I don’t think Common Core will affect the SAT or ACT all that much. Yes, both tests will strive to be consistent with the Common Core standards, but both tests also need to be good indicators of a student’s success in college. As a result, the standards of the SAT and ACT will be focused mostly on the student’s mathematics and linguistic skills. I have no doubt that both tests will be aligned with Common Core, but in terms of what those tests cover, they are very closely aligned already. Thus, I don’t see a lot of changes to those tests as a result of Common Core. (1) Common Core standards are mediocre at best. The average homeschooled student academically outperforms his or her peers (see here, here, here, and here, for example), so if the SAT I and ACT tests do get “dumbed down” to the level of the Common Core standards, they will simply become easier for homeschooled students, not harder. (2) The vast majority of homeschooled students spend time specifically studying for the SAT or ACT. All students should. Because of that, any relevant Common Core nonsense that the student missed while getting an academically superior education will be covered by that process. Now, of course, I don’t mean to imply that responsible adults shouldn’t fight the Common Core. Everyone benefits from a well-educated society, so even though the Common Core shouldn’t significantly affect a homeschooled student’s score on the SAT or ACT, you should still fight its adoption in your state. The key is that you should fight the standards not because they will adversely affect your child, but because they will adversely affect the nation as a whole. Thanks for your comments on Common Core. And you’re right… It’s not just about our children, but the nation as a whole if these standards are implemented. Thank you for your perspective! My high schoolers just started an ACT/SAT prep class, and how Common Core would affect their scores was discussed. I will more confidently share your perspective. The concern I have with math, for example, is if they require you to show a correct answer by a certain method. Many complaints for math are that they are teaching a longer method when a problem can be done in fewer steps and provide the same correct answer. My question is, would the answer become specific to a certain method of calculation therefore putting non-Common Core curriculum taught students at a disadvantage? Thank you for your integrity and curriculum! I am late in starting your series, but I’m thrilled with the opportunity through our co-op to participate in a group using your high school curriculum. Thank you for standing for values. Thanks for your kind words, Melinda. In answer to your question, all of the math problems have multiple-choice answers, so there is no real way they can start forcing you to solve a problem in a certain way unless they fundamentally change how the test is scored. In math, no answer is specific to a certain method, so I think it would be very hard for the SAT to test you on a specific problem-solving method. In addition, that would go against the goal of the SAT, which is not to measure a particular kind of problem-solving skill, but to measure the overall problem-solving skill of the student. I’m sorry I missed it; I don’t live very far from Sheridan. Wow. I wish I had thought of that. I would have loved to get together, Kevin! Thanks for the link, Alane. It’s good to have such a detailed report. I don’t currently have any plans to travel to Australia, Emily. However, I would accept any offer that fits into my schedule. You can check my speaking schedule here. I have heard a mixture of the very good and the very bad come from the homeschool movement. Wherelse homeschooled students tend to score considerably better on SAT, (probably because they focus considerably better in their studies) there’s also blogs like Homeschoolers Anonymous which deals with abuses within the homeschool movement (although they are not inherently opposed to homeschooling in itself). I see that children could be better off this way, but would you recommend it over private schooling for example? Or does it depend a lot more on the family? Daren, there is a mixture of good and bad from all schools: public, private, and home. However, what studies show is that homeschoolers are (on average) academically better prepared than their peers (see here, here, here, and here, for example), better socialized than their peers, and more involved in their community than their peers. They also have better eating habits and even sleep better than their peers. As a result, for most students, homeschooling produces the best results. (1) National standards are not the way to go. While the idea that all students should learn the same thing makes sense, the fact is that different students learn differently. Teachers should have the flexibility to meet each student’s needs as best they can. National standards hinder that. The more local the control, the more flexible the education. This is one of the many reasons that homeschooling works so well – it is the most flexible form of education. (2) Common Core has very low standards. Here in Indiana, that’s why the fight against Common Core began. Parents noticed how dumbed-down their children’s homework had become in preparation for Common Core. Interesting! Thanks for your explanation. I have heard that some states are opting out of common core. Maybe the states that do will retain some of that “local control” that you mentioned. It is pretty disheartening when standards are lowered.